fine motor skills and coordination with the goal of teaching core fundamental gymnastics movements. Structured gymnastics classes for Pre-School children aged 2 – 3 with specialized themes that are loads of fun! This is a great way to encourage the development of a child’s motor skills, balance, coordination. 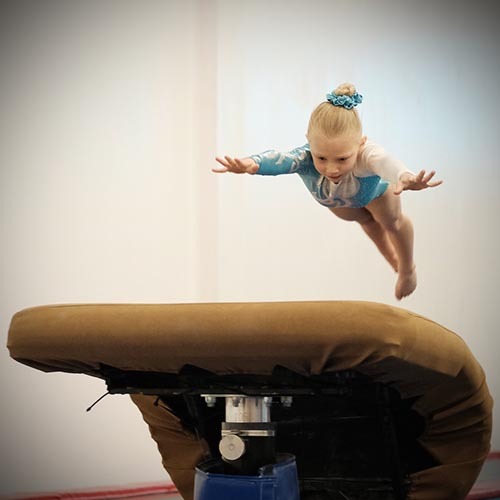 It’s a confidence-building stepping stone to the next level- Gymnastics for All Programs (3 years and up). These are parent and child sessions, led by a team of qualified staff. 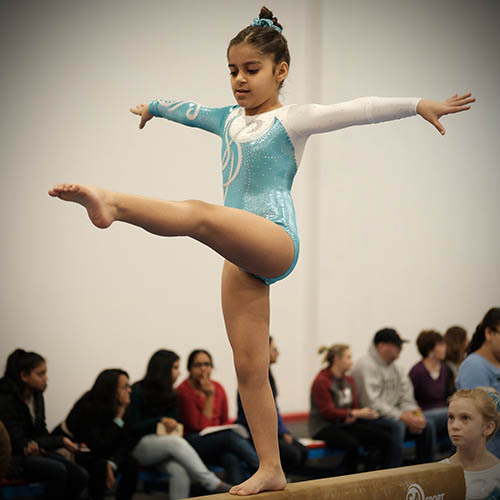 Introduces basic gymnastics skills: team work, strength training, and foundation building. We create different circuits to help our tiny gymnasts work their skills through progressions and activity stations in a fun environment. Each week is based on a uniquely themed program on a rotational schedule. Children from ages 4 to 5 prepare to learn basic gymnastics and work in a group in classes focused on shape, technique and consistency. This level will build upon progressions learned in previous classes to result in complete skill performance, while also helping grow confidence and keep participation fun. Beginner classes will learn fundamental movement patterns, basic strength balance and flexibility skills. Our instructors constantly review every new skill by teaching correct body positions and safety precautions. Classes are offered to children between 7 and 9 years old. They are taught using progressive methods, with a focus on the mastery of basic body positions and on constant developmental growth. Skills include control over balance, flexibility and body movement for more difficult skills. Gymnasts focus on advanced techniques including concentration, strength, flexibility, body awareness and safety. This class will teach more progressive skills to give students the opportunity to move onto the competitive team. 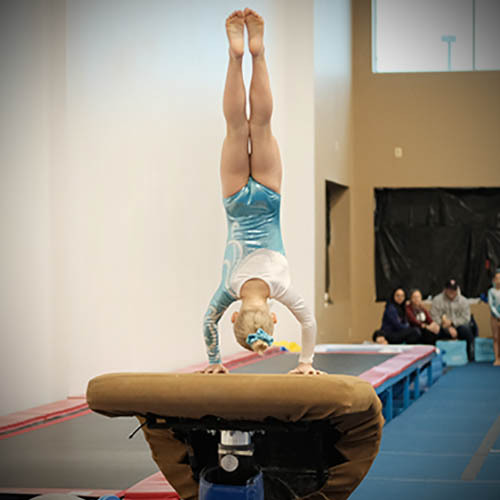 Gymnasts in this class above the age of 11 who do not wish to move to the team program can opt to continue their gymnastics learning in our Xcel Program. USA Parkour is fun for all ages and involves running, climbing, swinging, vaulting, jumping, with an exciting set up! We’ll work together and bring out our inner ninja. Designed for children who want to learn tumbling and drills without all the focus on the gymnastics apparatus. 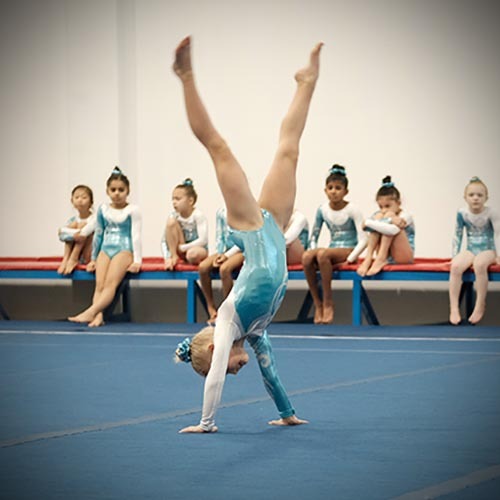 The instructor will teach basic and advanced tumbling skills using floor, trampoline, and tumble track with attention to proper body technique and safety awareness.